St. Thomas Episcopal Church in Terrace Park, OH announces the third season of the Bach Vespers beginning this September. The first Vespers service will be on Sunday, September 15 at 6pm. The Bach Vespers is a worship service combining elements of Anglican Evensong with the music of J. S. Bach, his musical contemporaries and heirs. Season highlights include a Vespers featuring the a cappella choral music of William Byrd and Orlando di Lasso; six of Bach’s cantatas, as well as several works by Mozart; Verse Anthems with The Cincinnati Viol Consort; and guest conductor Brett Scott, Director of the Cincinanti Camerata. Vespers in February and March will be offered in conjunction with two festivals, the Cincinnati Early Music Festival and a new citywide Bach Festival. In May the Vespers will include a world premiere of a new cantata by St. Thomas Composer-in-Residence Douglas Pew. Central to the Vespers service is the Cincinnati Bach Ensemble, an Ensemble-in-Residence at St. Thomas consisting of professional musicians from throughout the Cincinnati area. The ensemble’s roster has members from the Cincinnati Symphony, the Cincinnati Chamber Orchestra, as well as graduate students and faculty members from area universities. 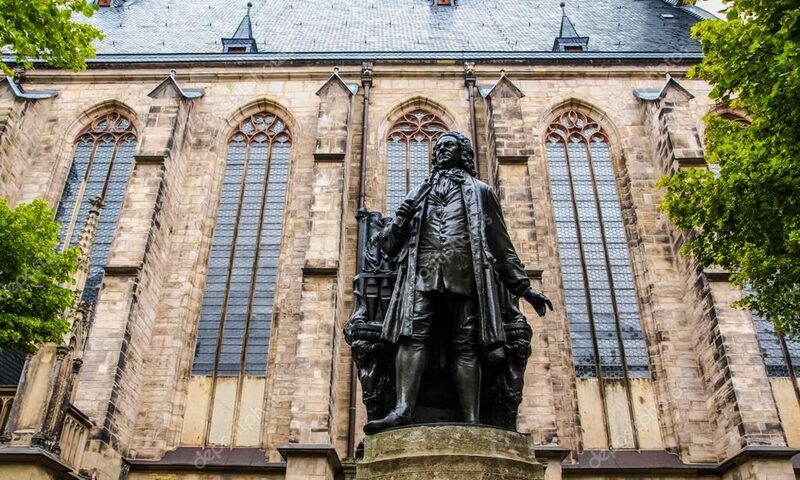 Under the direction of Dr. Carlton Monroe, the CBE presents the cantatas of J. S. Bach in the intimate and beautiful setting of St. Thomas in the context for which they were intended. This season the Vespers will be preceded by short Prelude Recitals, beginning at 5:45pm and featuring performers from the Ensemble, including Randy Bowman, flute; Dwight Parry, oboe; and Douglas Lindsay, trumpet. The CBE will perform twice on Christ Church Cathedral’s Music Live at Lunch series performing Monteverdi’s Lagrime d’Amante al Sepolcro dell’ Amata and Bach’s Tigle, Höchster, meine Sünden (BWV 1083), a reworking of Pergolesi’s Stabat Mater. St. Thomas is an Episcopal Church serving the Cincinnati suburb of Terrace Park and surrounding neighborhoods for over 136 years.